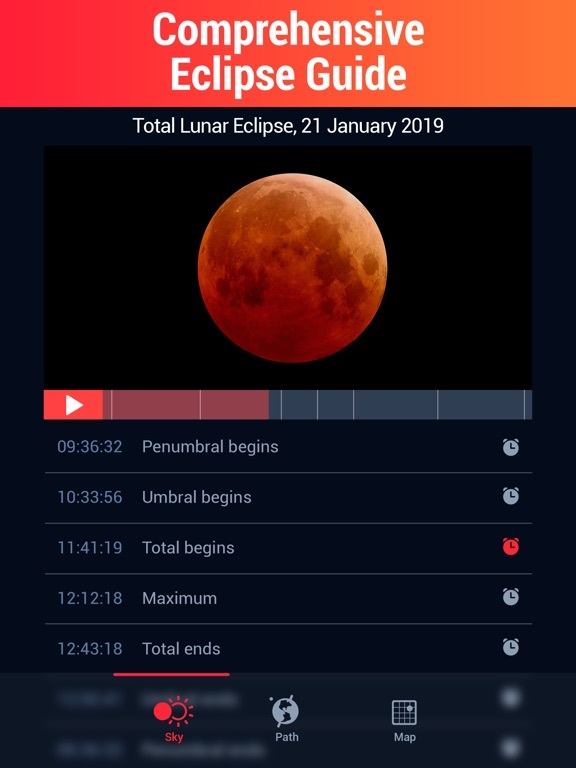 Eclipse Guide is a comprehensible and easy-to-use app for observing both solar and lunar eclipses. It provides all the info you need to experience and understand any eclipse of the past and the future. ● Eclipse calendar with the list of upcoming solar and lunar eclipses and eclipses of the past. ● Observing eclipses from your location, from any other place, or from the best location for observation. ● Eclipse simulation with the play button allowing you to experience the celestial event from its beginning to the end. ● World map showing the eclipse path accompanied by the times of all the phases. ● The map illustrating the gradation of eclipse visibility with the list of best locations where this celestial event is visible. ● Eclipse timelines and other core information. ● Notifications about solar and lunar eclipses. 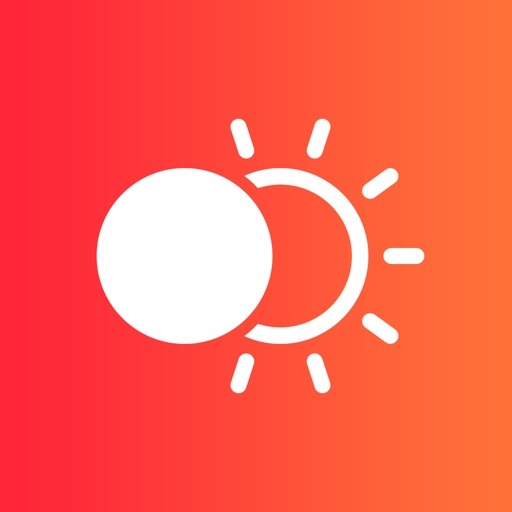 Never miss eclipses with Eclipse Guide!